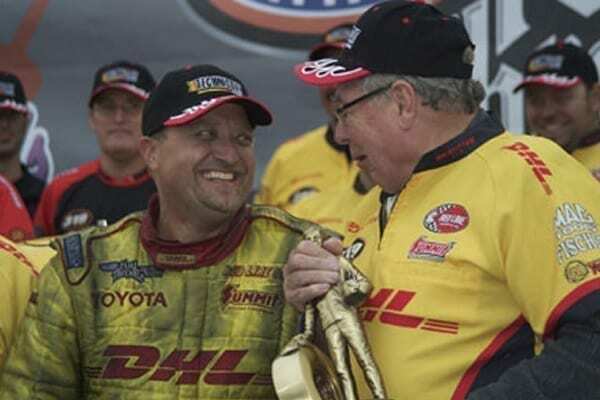 2012 Route 66 Funny Car eliminator winner driving the DHL – Kalitta Motorsports, Toyota F/C- Pioneer Nationals 1996 F/C Maple Grove, Reading, PA.
1979: Attended first drag race (High School Challenge Race) at Cayuga and went to the semi finals. 1985: Had quickest street car at the drags: 1970 blown Chevelle SS 10.33 at 133mph. 1989-93: Built Bad to the Bone 48 Fiat and qualified number 1 at every event for the next 3 seasons. 1994: Worked for Al Billes as Car Chief when he went Alcohol FC racing. 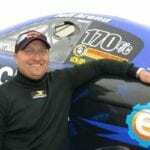 Earned Nitro Funny Car license at West Palm Beach with Paul Smith in the minimum amount of runs (3). Also reset track record for ET and MPH 5.57 at 266 mph. 1995: Made professional debut in Nitro FC at Gainesville. Qualified 10th. Next race at E Town took out defending event champ Mark Oswald in the first round with a low ET of raceday, 5.13. First Professional round win. 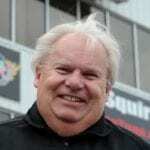 1996: Defeated John Force at home track (London Motorsports Park) and reset Canadian ET record. Won first NHRA National Event at Maple Grove defeating Tony Pedregon in the final. 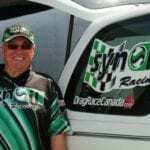 First Canadian to eclipse the 300 mph barrier at the World Finals in Pomona. 1997: Moved to California and got married. Worked for next 4 years as an instructor and Operations Manager for Frank Hawley’s Drag Racing School. 1998-00: Drove selected events for Chuck Beal. First driver picked for the $100,000.00 Winston No Bull Challenge, Winternationals at Pomona 2000. 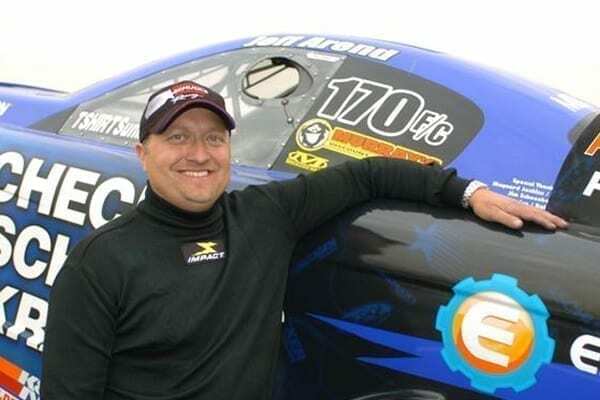 2004-05: Returned to NHRA Competition. 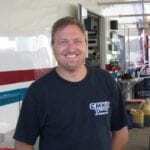 Formed a Nitro Funny Car team with Paul Smith with the CMKX Sponsorship. Set career best ET and MPH. Category best reaction time average in FC. Became the quickest and fastest driver of a Corvette. 320.33 MPH. 2006: Ran limited events and drove for Mark Oswald at St Louis in Del Worsham’s Murray’s Automotive FC. 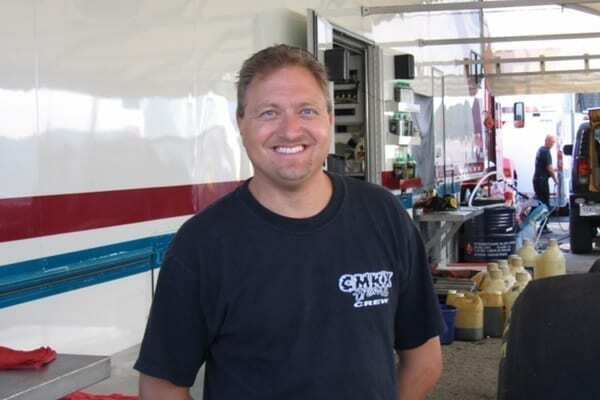 2007: Named second driver of the Blue Checker, Shucks and Kragen Funny Car. Qualified number at Indy and the World Finals. 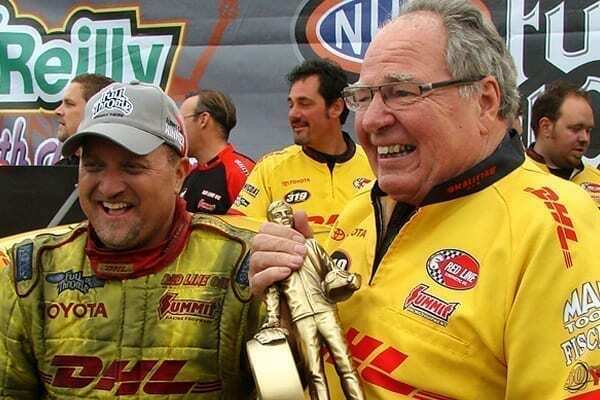 2008: Took over controls of the DHL Funny Car for Connie Kalitta after the death of Scott at Englishtown. 2011: Won Houston, made the Countdown to the Championship for the first time and finished 8th in the world. 2012: Raced to a win in Chicago; set a career best time in Pomona 2 at 4.036 and a career best speed of 318.09 at Reading; made his second consecutive appearance in the Countdown to the Championship. 2013: Started driving the Grime Boss car for the legendry Big Jim Dunn. 2014: Raced to semifinal finish at Reading; raced to three quarterfinal finishes; qualified a season-best fifth at Las Vegas 2. Also started doing sales for Frank Hawley’s Drag Racing School. 2015: Attended a few events driving for famous chassis builder Steve Plueger and Helen and Peter Russo from Australia. 2016: Ran Winternationals and Las Vegas 1 with the Russo’s again qualifying both times and setting a career best ET in their car at Vegas.